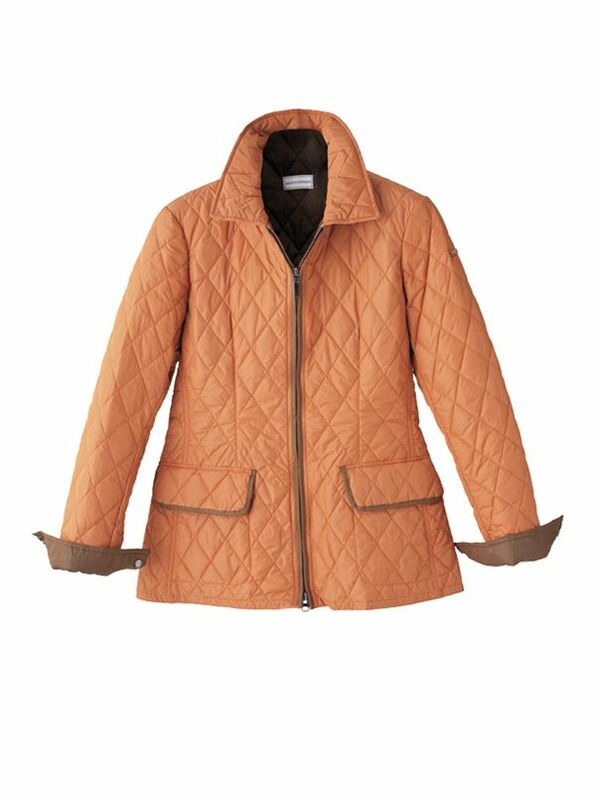 Jean Nylon Quilted Zip Jacket with a light fill for featherweight comfort. With double-zipper front shirt collar snap cuffs two flap pockets contrast piping darted back. Cardigan length. Imported.